The recall notice states that as the Airbag inflator gets older, a combination of high temperatures and humidity can cause the airbag inflator propellant to degrade. If an affected vehicle is involved in a collision triggering the airbag, the metal inflator housing may explode/rupture under too much internal pressure. The notice further states In the event of an airbag inflator rupture, metal fragments could possibly shoot out, straight through the airbag cushion material towards the vehicle occupants causing serious injury or fatality. To find out if your vehicle is affected and for further information,Owners of affected vehicles should contact their local Jaguar Land Rover dealership or Jaguar Land Rover head office directly via the website at https://www.landrover.com.au/ownership/contact-us/index.html (link is external) to arrange for a replacement airbag inflator free of charge. 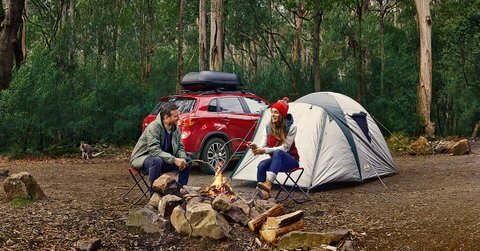 https://www.landrover.com.au/ownership/vin-recall.html or contact 1800 312 828, or contact their preferred dealer. The Australian Caravan Club is delighted to welcome Forbes Batteries & Electronics to its member benefits programme. Forbes Batteries & Electronics are a family owned business and have operated in Toowoomba since 1982.
inverters, cables, plug, sockets and much more. Batteries are their specialty and they pride themselves on not only selling the best products based on a customer's requirements (e.g. budget, power, life-cycle) but also informing one on how to best use and maintain their battery. They have experts who can elaborate on any solar related questions and explain how to extract the most value out of their system. As a one stop shop, we also provide a variety of services to equip your new battery or fix your device as soon as possible. Our services include phone repairs for old and new models, vehicle installations for numerous auto accessories, free fitting and testing of batteries and lastly, satellite phone hire. ACC Members will qualify for the Forbes discount card which affords members discounts between 5-15% off products throughout the store. Let staff know in store that you are an ACC member and they will give you a VIP discount card to present when purchasing in store. The Australian Caravan Club is delighted to welcome Gundagai Tourist Park to its member benefits programme. Gundagai Tourist Park is located just a short 2 minute’s drive off the Hume Highway, midway between Sydney & Melbourne on the banks of the Murrumbidgee River. The Park, set in 6 acres, is a short walk into the historic town centre where you will find cafes, antique shops, Woolworths, RSL & Golf and Bowling clubs. Park facilities include 40 under cover drive through powered ensuites sites as well as grassy powered & unpowered sites, free BBQ and Free WIFI. Gundagai Historical Museum, the Gabriel Gallery and of course the Dog on the Tuckerbox. 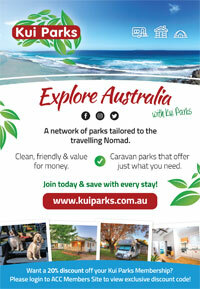 Gundagai Tourist Park offer ACC members 10% off van sites. Pets are not permitted in cabins. 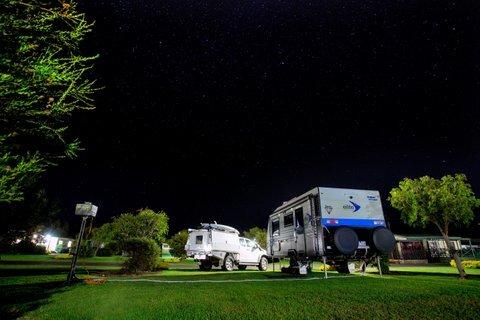 Ten years ago, a caravanner living at Lake Macquarie decided to contact other caravanners living on the New South Wales Central Coast, Lake Macquarie and Newcastle regions to gauge support for the formation of a branch of our Club. 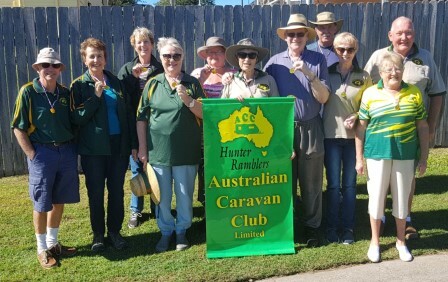 His dream was realised when 9 vans and 18 people turned up at Taylors Beach Caravan Park for a “meet and greet” and the ACC Hunter Ramblers branch was born. Since its foundation, the branch has grown in size to 32 members. 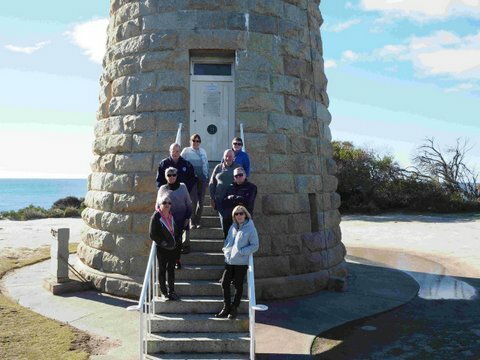 In April this year, members of the Hunter Ramblers mustered at South West Rocks to celebrate the 10th anniversary of the branch. At the muster, branch president Ken outlined the history of the Ramblers, and praised those involved with the early establishment of the branch. Any RVer requiring further information about the ACC or its Hunter Ramblers branch can contact the ACC on 1800 734 493. Adventure beckons, so ACC members can sail by day or night on the Spirit of Tasmania from $79* per person each way. Offer extended for a limited time! This offer is available on selected night sailings between late August and mid-December 2018. The offer is available until sold out. To book your adventure online today, ACC members should log onto this website, click on the orange member benefits – non accommodation button on our home page, and click on the special Spirit of Tasmania webpage for ACC members under the Spirit of Tasmania listing. Our Park of the Month for July is Big4 Hopkins River Holiday Park at Warrnambool in Victoria. Located only 5 minutes from Warrnambool, the Gateway to the Great Ocean Road, Big4 Hopkins River Holiday Park is located on the banks of the beautiful Hopkins River. While enjoying your stay at Big4 Hopkins River Holiday Park, you can make the most of the many facilities that the Park has to offer. Here you’ll find a resort style lagoon pool complete with ‘grotto’, waterfalls and a water slide for all ages. There is a children’s playground, mini golf, tennis court, jumping pillow, gym and indoor heated pool and spa so you can swim all year round, camp kitchen and barbeques. There’s just so much to do in the Warrnambool area. It’s only a short drive to Hopkins Falls and the world famous Twelve Apostles, experience whale watching in Winter/Spring, plus there’s the Tower Hill Nature Reserve, Shipwrecked Sound and Laser Show, and Flagstaff Hill Historic Maritime Village to see. The Park has ensuite and powered grassed sites and can cater for large 5th wheelers. Dogs are welcome year round and special pet friendly studio cabins are available. 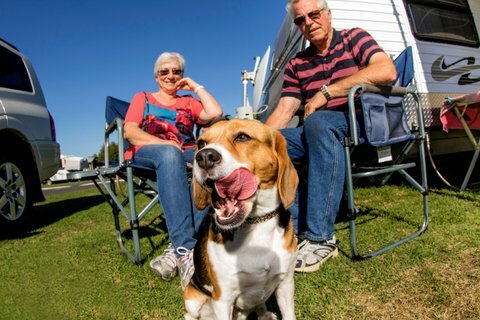 Big4 Hopkins River Holiday Park offer all ACC members a 10% discount off accommodation up to the value of $40 per stay. Don’t forget to show your membership card when booking. Up to 31 August, the Park has a special offer available to all guests. Guests can Stay for 3 nights and pay for 2 on all powered and ensuite suites. (Cost is $80 for 3 nights on a powered site and $104 for 3 nights on an ensuite site). ACC members can find contact details for Big4 Hopkins River Holiday Park by logging onto this website and clicking on the green member benefits – accommodation button. 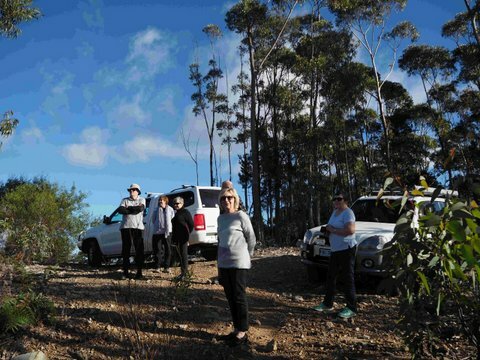 With a number of members travelling on the mainland, it was a small but hardy group of Tassie Travellers who attended the muster at St Helen’s Big 4 Caravan Park in June. The nights were cold but the days were lovely and sunny and some even stepped out in T Shirts! The sightseeing in the area included a Tagalong to the Loila Weir which is just south of St Helen’s and features beautiful views to the coast, and also an adventure to Eddystone Point, Deep Creek and Ansons Bay, areas which some members had not previously visited. Of course it wouldn’t be a muster without the food, a shared meal and a Sunday brunch and apparently the best jelly slice in Australia! The Tassie Travellers welcome any visitors to their state to attend their musters - just check the muster calendar on the website if you are heading their way.